Last night I think the people behind my house were having a party in their yard. It didn’t sound like a big party – just a few people. But they were playing musical instruments and I really thought I should be part of that. I heard the sound of a guitar every once in awhile. That didn’t really bother me. My person has a guitar. It’s kind of collecting dust right now but I guess if I really wanted to play it I could tear open the case and see what kind of sounds I could make. But there was another instrument that really attracted my attention. It’s not one that my person has – well, she sort of has it, but not really. And it’s something I’ve always wanted to play. I mean, who wouldn’t want to play an instrument that was named after them. Maybe my neighbors will hear something and invite me over next time they play the bongos. 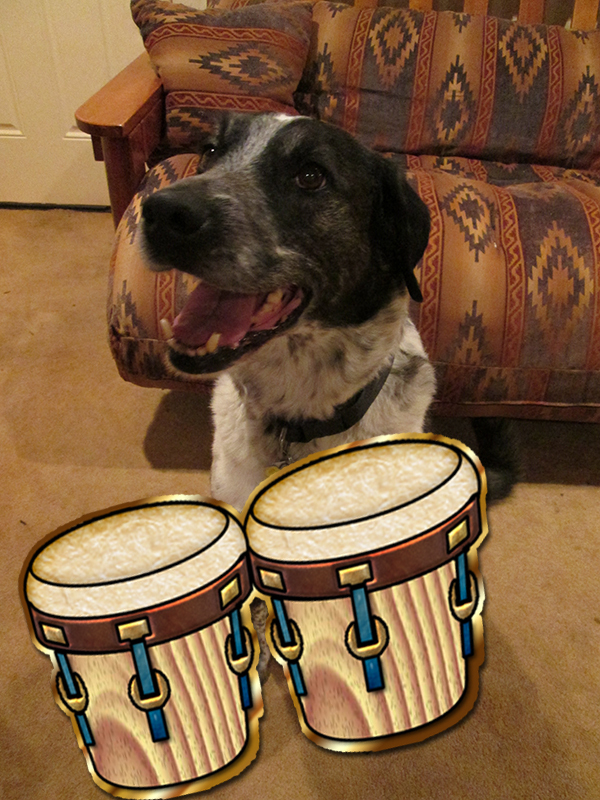 Bongo Clip Art is ©2009, Leslie Sigal Javorek (a.k.a. IconDoIt). All Rights Reserved. Used by written permission. Now, if I had a party, I would love to have Bongo play the bongos and would give him lots of fish too for it!!! Marina, I’ll play the bongos for you anytime. I’m on it Ku. Maybe I could beat the bongos to one of your haikus. Little Binky, since I’m playing the bongos I think dancing would be appropriate. Woo woo! Lily, I might have to invite myself. Maybe I could enlarge the hole in the fence between our yards. 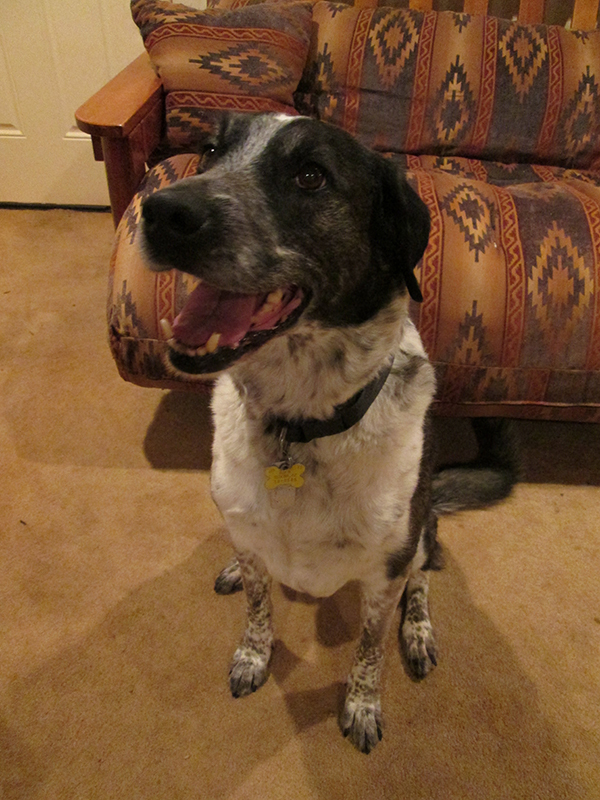 Four paws’ four bongo drums – Make this happen, B. You can do a concert! Cupcake, I could have my own party – and you’re invited! ooo I want to go to the next one! Kari, you are for sure invited to my party. Patrecia, if they don’t invite me I’ll have my own Bongo party – and you’re definitely invited. Dalton, it wouldn’t be a party if they didn’t have Bongo playing the bongos. Kevin, you made my person curious so she looked up some information on bongo drums and found out they originated in Cuba – so yes, they are mostly for latin music. I think I’ll go work on my latin drumming now. Since you have four paws, you could make up a whole orchestra with a guitar and a bongo!! Kolytyi, what an idea! I can do more music than people can. Woo woo! I just assumed you got your name because you were a world renown bongo beater. Lola, I think those drums were named after me. I mean, who wouldn’t want to name their drums after me. Lexie and Mica, I’ve got to be a natural at it. Bring the bongos on! That is cool! They named Bongo DRums after you! They named Ginger Snap cookies after me! We are two lucky dogs! However, nothing will make me happy till I have that thousand foot statue of me when I am world Dictator! Ginger, anyone who can get a cookie named after her is definitely in line for a thousand foot statue.